New evidence obtained by Senate investigators reveal that Donald Trump Jr. did not speak with his father from a blocked telephone number days ahead of the 2016 Trump Tower meeting, as first reported by CNN, contradicting Democratic conspiracy theories. Democrats led by Rep. Adam Schiff (D-CA) have pointed to the blocked-number calls as evidence that President Trump himself had knowledge that his son, son-in-law Jared Kushner and Paul Manafort met with a Russian attorney who said she had dirt on Hillary Clinton. California Senator Dianne Feinstein (D) also pointed to the blocked calls in a Democratic report last year detailing the Senate Judiciary Committee’s investigation of the Trump Tower meeting. “We also do not know who they told about this meeting, including whether they ever discussed it with Mr. Trump,” wrote Feinstein – who noted that Trump Jr. placed three calls to the blocked numbers. 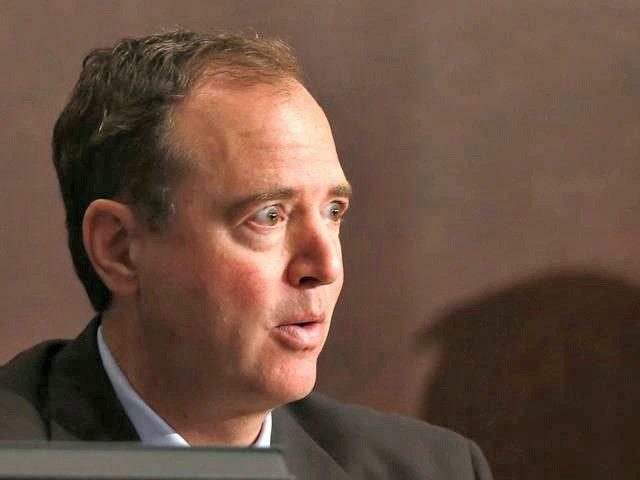 Schiff’s report, however, states that the first call on June 6 was incoming, while CNN reports that the records provided to Congress do not indicate whether the blocked calls were incoming or outgoing. Democrats have long suggested that Trump Jr. lied to Congress and that President Trump has lied about whether he knew about the Trump Tower meeting before it happened. Trump claims he learned about it when the press began covering it in 2017, over a year after it took place. The Russian attorney at the Trump Tower meeting, Natalia Veselnitskaya, met with Fusion GPS co-founder Glenn Simpson hours before she met with Trump Jr. Also in attendance was Russian-American lobbyist Rinat Akhmetshin. Hillary Clinton’s campaign paid Fusion GPS to produce the “Steele dossier” used by the FBI to justify spying on the Trump campaign – and later leaked to the public to smear the President. Both Veselnitskaya and Akhmetshin were working with Fusion GPS, however they claim the Trump Tower meeting was unrelated to their work with the opposition research firm. Also working with Fusion GPS was Nellie Ohr, the wife of the former #4 official at the DOJ, Bruce Ohr. Ironically given CNN’s role in breaking the new story, the network has been behind other reporting about Trump Jr. and his Trump Tower conversations that have turned out to be false. CNN reported in July 2018 former Trump attorney Michael Cohen was involved in a conversation in which Trump Jr. told his father that the meeting with Russians was going to take place. But on Aug. 22, 2018, Cohen adviser Lanny Davis acknowledged he was a source for the CNN article and that he was mistaken. He said Cohen did not know whether Trump Jr. told Trump about the meeting.